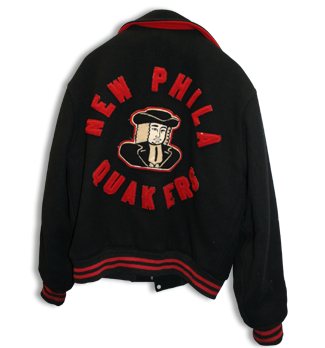 The Quaker Foundation's primary continuing fundraising campaign is the issuing of commemorative bricks. The bricks are permanently set along the walk to the main entrance on Ray Avenue of the original New Philadelphia High School building. You may purchase a brick in honor of, or in memory of, an individual, a group of individuals, or an organization. Two types of bricks are available, a single 4" x 8" brick and a family/group 8" x 8" brick. To see a list of the bricks that are in place, use the menu below. Bricks are listed alphabetically by the primary name on the brick. Location is given as on the left (L) or right (R) side of the walk as you face the building and by number of rows from the street. On each side of the walk there are three columns of bricks denoted by A (next to walk), B (middle) and C (next to grass).